When it’s time to say ‘au revoir’ to Lyon, end your trip the easy way with this departure transfer in a climate-controlled minivan to Lyon-Saint Exupery. Transfer service is available 24 hours a day, 7 days a week. It’s a great option for groups of up to 7 people. You will be met at your Lyon city hotel by your driver at the hotel reception. Please advise your preferred pickup time in the Special Requirements field on booking. Enjoy a stress-free exit from Lyon with when you book this transfer to Lyon-Saint Exupery airport. Just enter your flight and hotel details when you book, pay in advance, and show your voucher to your driver. Please call the number on your voucher to confirm pickup details 24-48 hours before your departure. 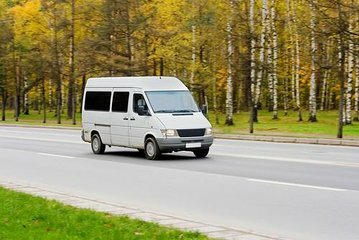 After pickup at your Lyon hotel in a comfortable minivan with room for up to 7 passengers, relax on the journey to the airport. Arrive with plenty of time to catch your flight. This one-way transfer service is available 24 hours a day, 7 days a week. Price is per person, based on 7 adults per car/vehicle. Driver very helpful, arrived ahead of time as we had been advised to get to the airport early because of the alterations. The vehicle was clean and comfortable. On time. Beautiful van. Worked like clockwork.